SNP health minister Jeane Freeman is visiting Dr Gray's Hospital in Elgin to discuss the maternity ward. NHS Grampian have been given two weeks to submit plans on how they will reintroduce a consultant-led maternity service at Dr Gray’s Hospital. Scottish Cabinet Health Secretary Jeane Freeman imposed the strict deadline yesterday as she visited the Elgin hospital to hear concerns from staff and locals about the downgrade. The maternity service was changed from consultant-led to midwife-led last month, meaning that medium and high risk births will have to take place elsewhere. Now, after meeting with the health board, Ms Freeman has told them to come up with a plan and deliver it to her “two weeks from today”. She said: “What we have done is asked the health board to give us a plan in two weeks time that show us how they are going to return the service here to a consultant led one, the time scale they intend to follow, the milestones they want to reach at each step of the way, we’ll scrutinise that plan. NHS Grampian have been criticised for a lack of communication with concerned local people and Ms Freeman wants to combat that by publicising the final plans online for everyone to see. 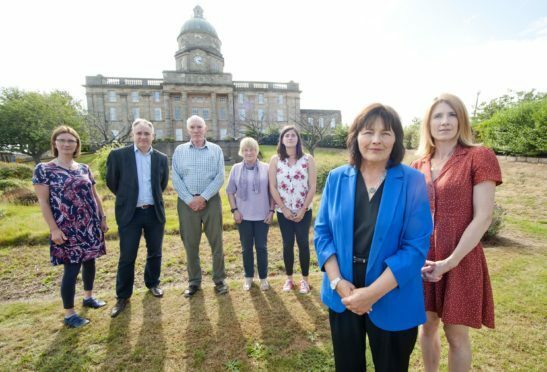 She said: “Once the plan is finished and scrutinised by the government we will make it public so that everyone in Moray can see what is expected to happen here at Dr Gray’s to return that consultant-led service and what are the steps along the way and what is the timeframe. Ms Freeman met with staff at Dr Gray’s and with campaign group Keep Mum. They were pleased about the deadline imposed on NHS Grampian, but still called on the government to take more action. Moray MSP Richard Lochhead is confident that the Scottish Government will do all they can to get the service back up and running as soon as possible.